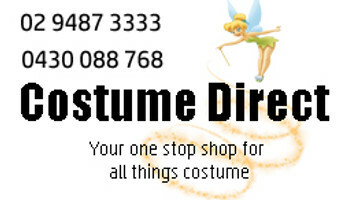 Celebrity costumes from the best online Costume shop in Sydney! They are the stars of stage, screen and music - and now you can pay homage to your favourite famous icons! We have a great range of Rock and Pop Star celebrities costumes and accessories! Why not be the King or a member of ABBA for a night? We've got everyone, from Katy Perry costumes to Freddie Mercury costumes, from Marilyn Monroe costumes through to Borat costumes! You name it, we got it! Scroll through the recognisable getups of the likes of Lady Gaga, Cyndi Lauper and Michael Jackson and get famous now - everyone will know who you are at your next Hollywood party or Movies and TV themed event!